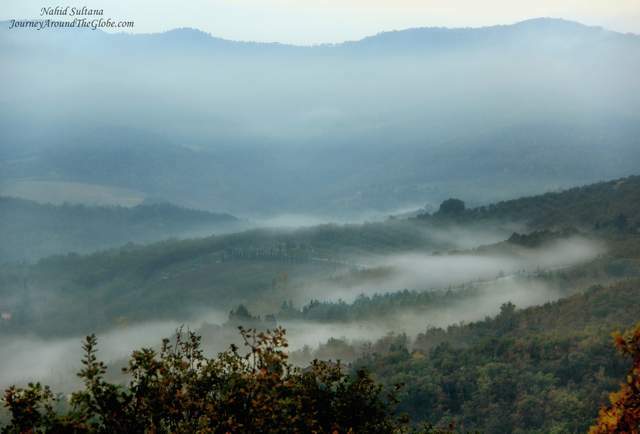 It’s considered to be one of the most beautiful panoramic drives through Tuscany: the Chianti Wine Route. 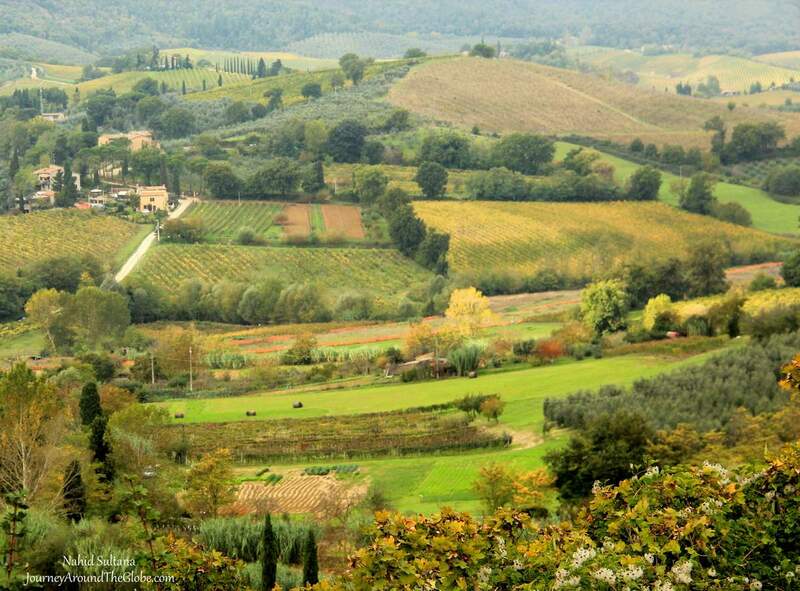 Chianti is one of the oldest and famous wine regions in Italy. This route, the SR222 (Strada Regionale 222) passes five small Chianti Classico towns and is about 100 km’s (62 miles) long. For a long time it was the only road between Florence and Siena. This winding road takes you along the most spectacular sceneries Italy has to offer. 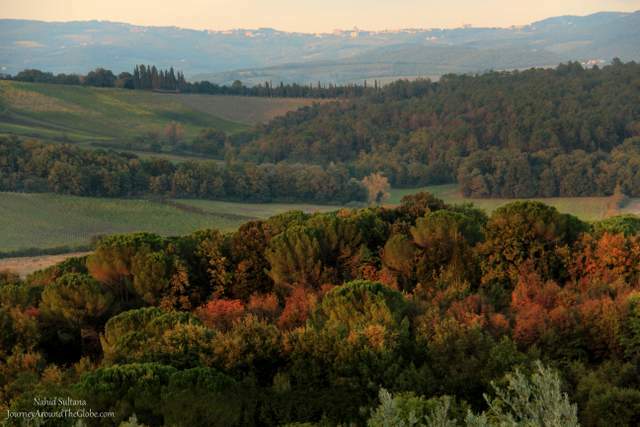 View the typical rolling Tuscan hills filled with tall cypress trees. 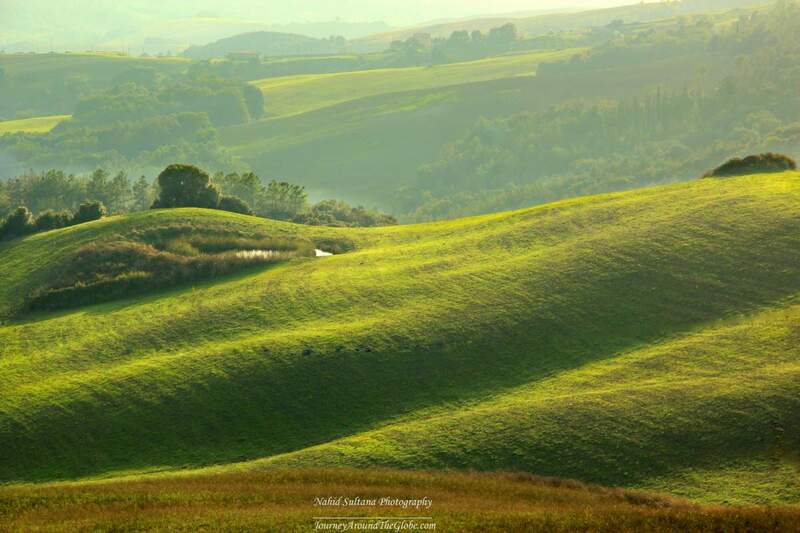 And see thousands hectares of fertile soil, ready to grow the sangiovese grapes for the divine Chianti wines. 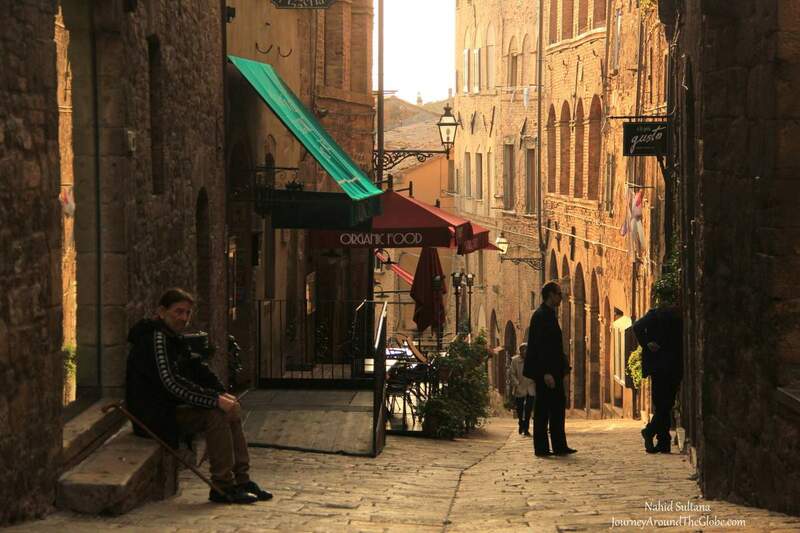 Touring the area let’s you experience the true ‘la dolce vita’. Do some wine tasting, try out the olive oils, visit the medieval towns and enjoy the local specialities along the way. 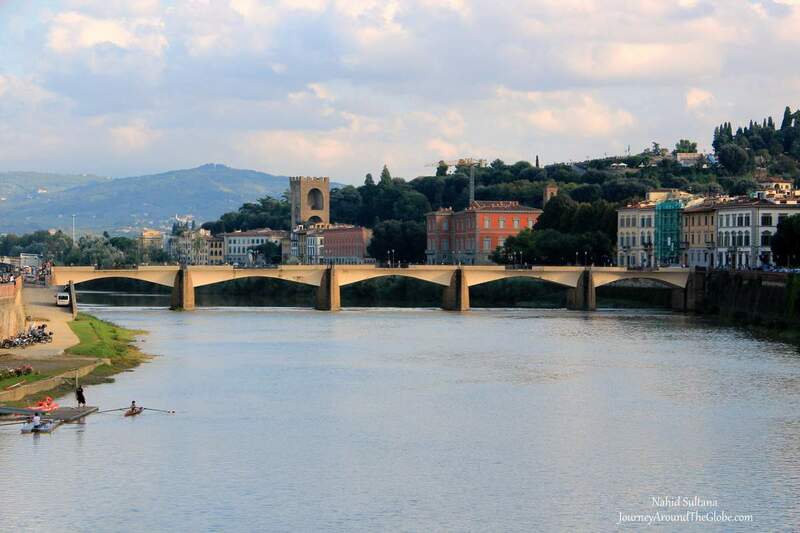 These little towns are also perfect for a daytrip from Florence or Siena. Before you take this trip it’s wisely to book your rental car in advance. Find further information at EasyTerra. 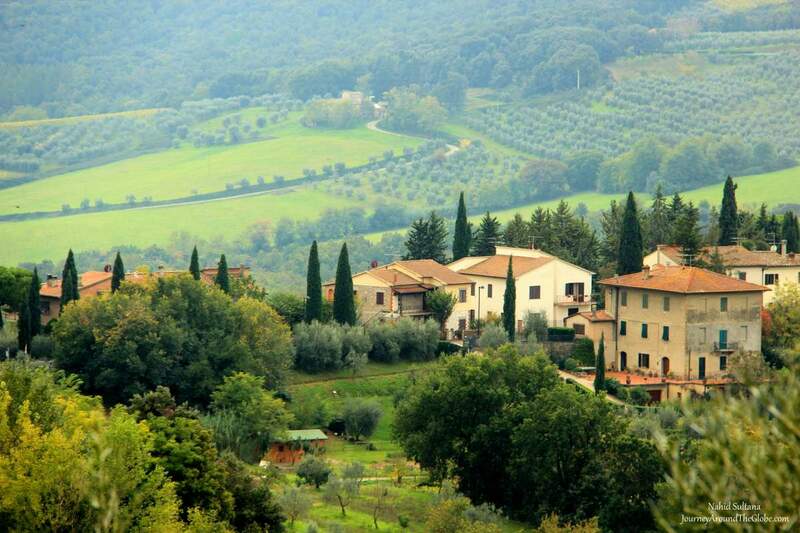 Also book a B&B or agriturismo, so you can literally can eat, sleep and drink Chianti. Do remember: it is not safe to drink and drive at the same time. The Chianti is one of the most sold Italian quality wines, recognisable by it’s Black Rooster (Gallo Nero) Label. It used to be bottled in a typical curved wine bottle in a straw basket (called fiasco), nowadays it’s more and more produced in a standard shaped wine bottle. The red wine is so special because of the use of sangiovese grapes. A minimum of 80% and up to a 100% must be used, supplemented by other grape varieties. It has a characteristic intense aroma of fruit and flowers. A typical Chianti wine has a soft aftertaste and an intense color. The taste and quality can vary due to microclimates (height and location of the vineyard). The best Chianti’s come from the Chianti Classico region and have an DOCG-status to ensure the best quality. 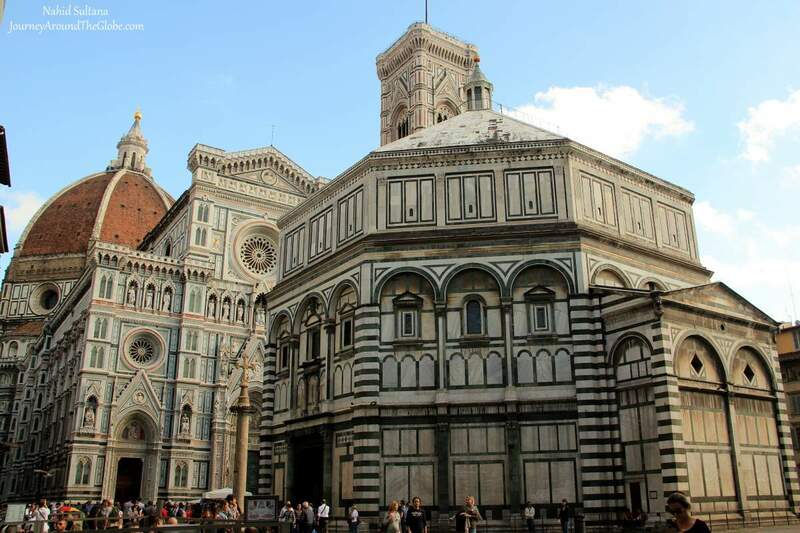 Start your road trip in Tuscany’s capital: Florence. 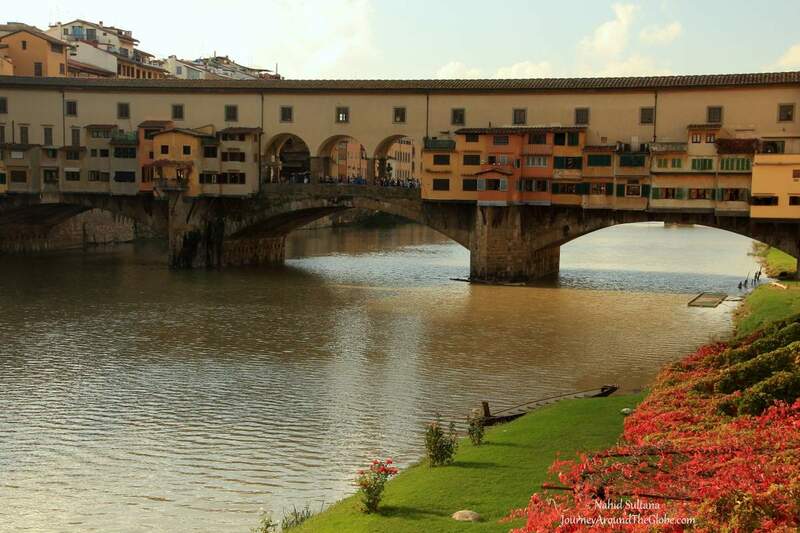 Or as the locals say Firenze. 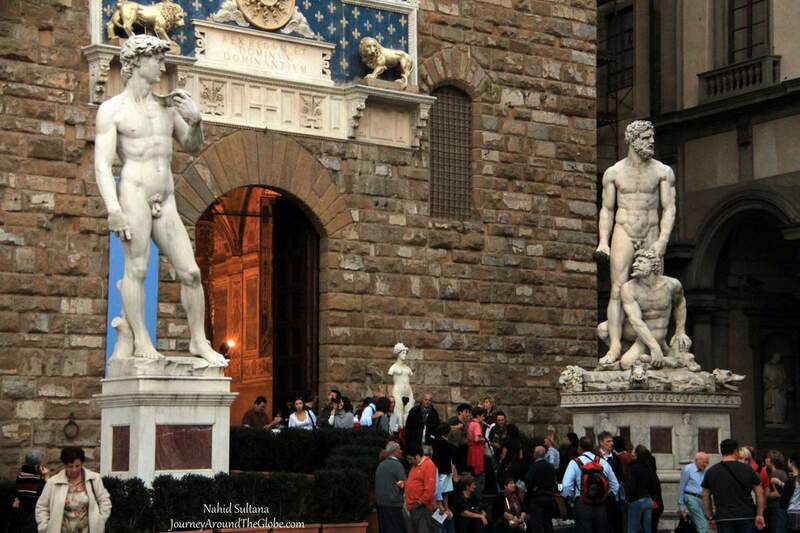 With millions of tourists a year visiting, it’s one of the most popular cities in Italy. And no wonder: it’s a perfect mix of history, art and culture. Book yourself a hotel and get lost in the city for a few days. 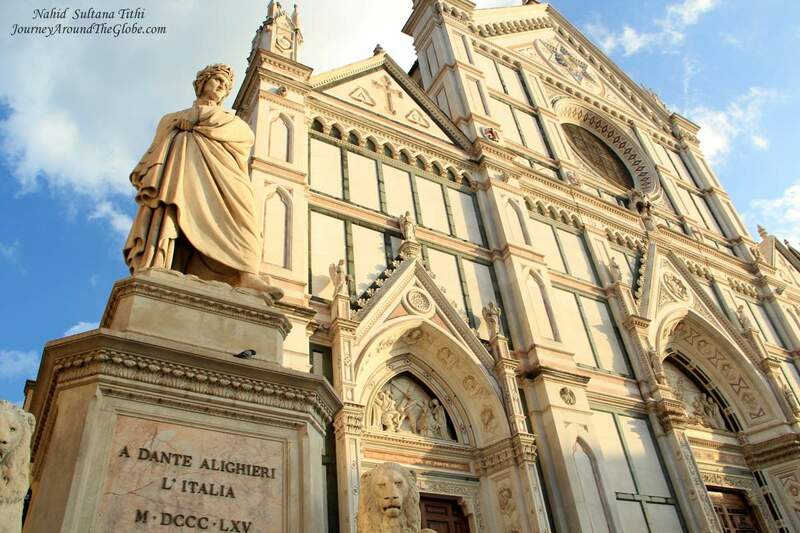 Read more about Florence’s attractions. After wandering around in Florence, it’s time to get into your car and hit the road: on to Greve. 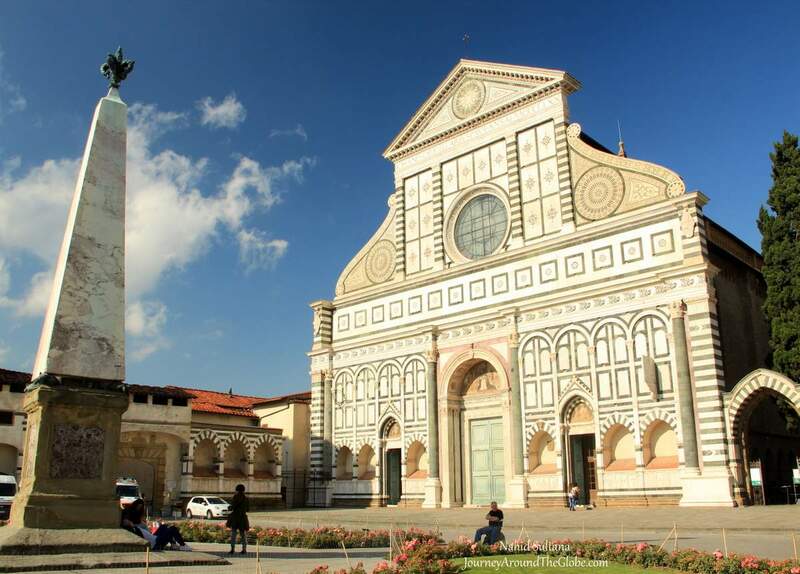 Greve is also called ‘The Gateway into Chianti’, because it’s the first Clasico town to come across from Florence. 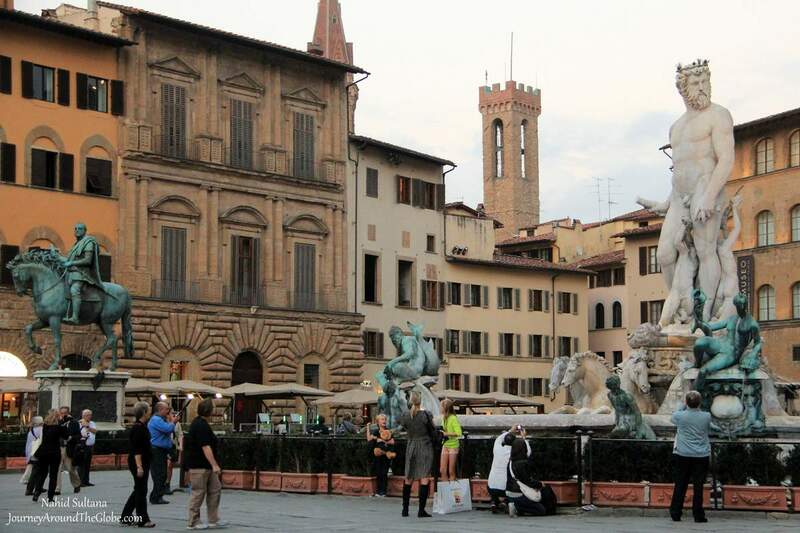 The triangular square, Piazza Matteotti, forms the heart of the town. Each side is surrounded with small indoor shops, galleries and restaurants. 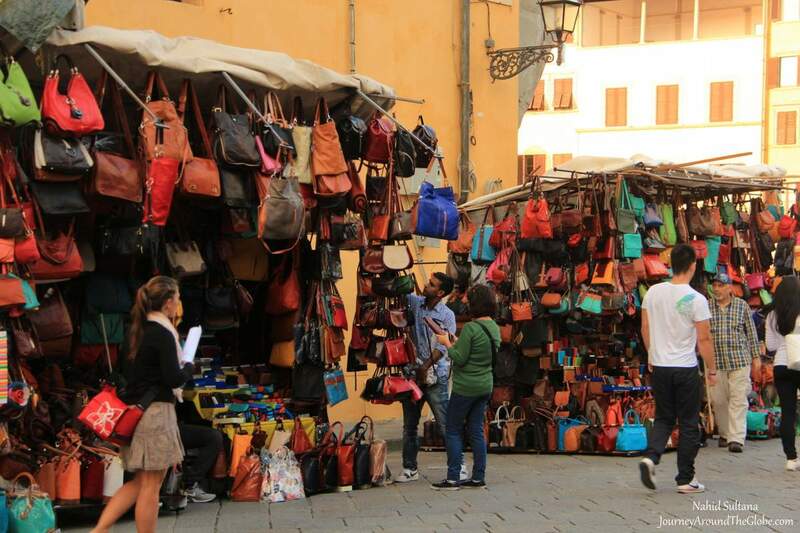 There’s a large market held every Saturday. 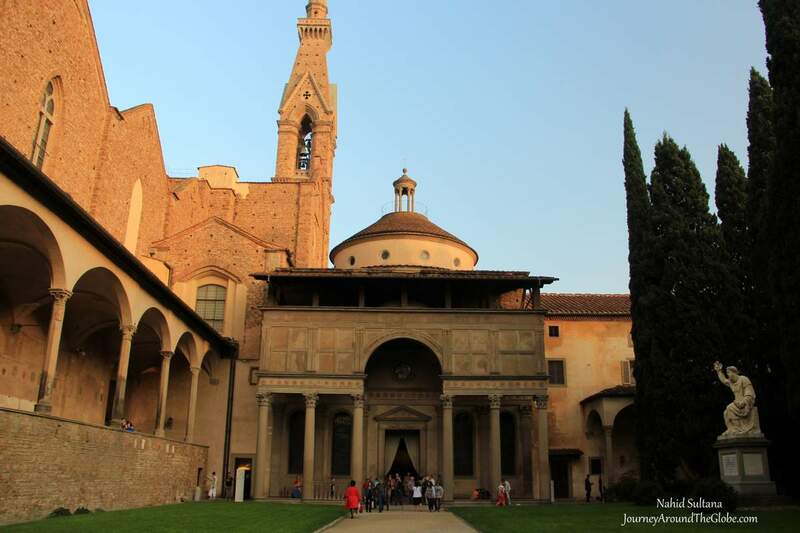 Each year, around mid September, Greve organises the famous Expo del Chianti Classico. 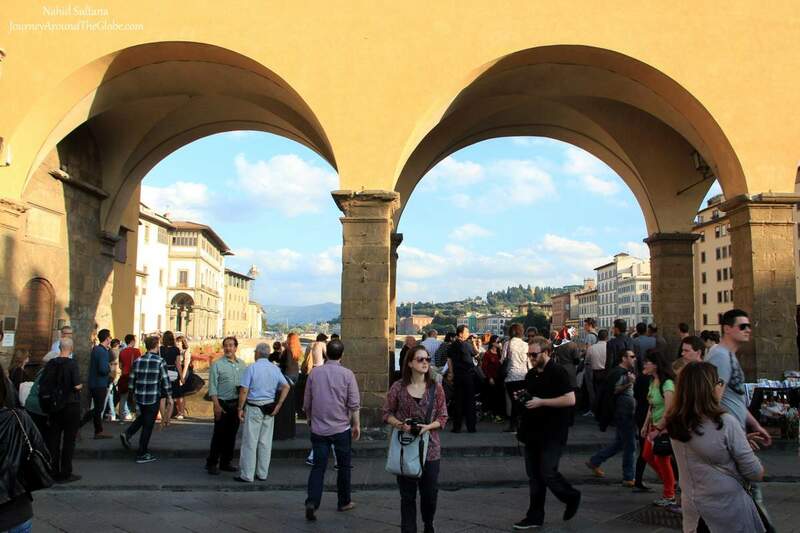 The Piazza gets filled for four days with stalls of all the local Chianti Classico wine producers. A tradition of nearly of half a century! For about €10 you can buy a empty wineglass, which you can refill 7 or 8 times. 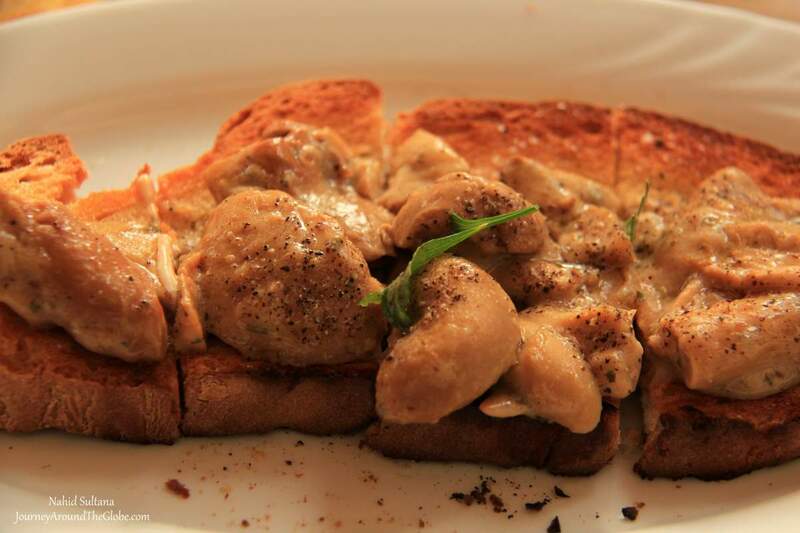 If you can’t make it to the Festival, visit Le Cantine di Greve (Enoteca Falorni). Buy a ‘wine card’ for a certain amount and fill your glass with an automatic dispenser. You can choose from over 140 different kind of wines! 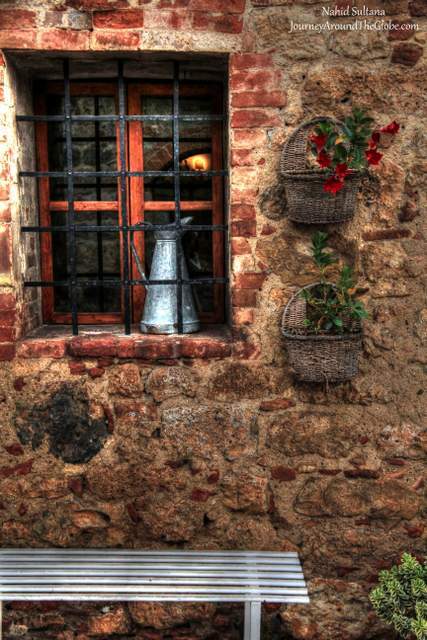 To learn more about the history of Chianti’s wine culture, visit the Museo del Vino. 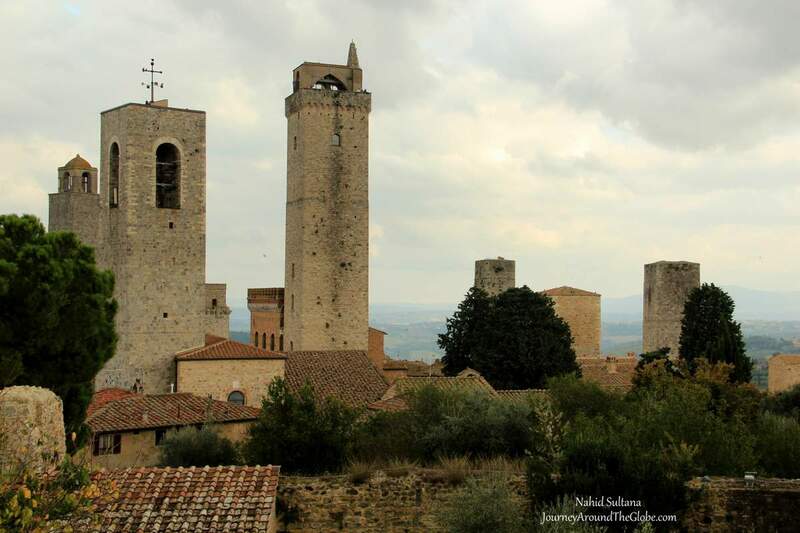 For some historic sightseeing you walk or drive up (1,5km) to the old castle of Montefioralle, a medieval village nearby. On your way up you will see some great panoramic views. 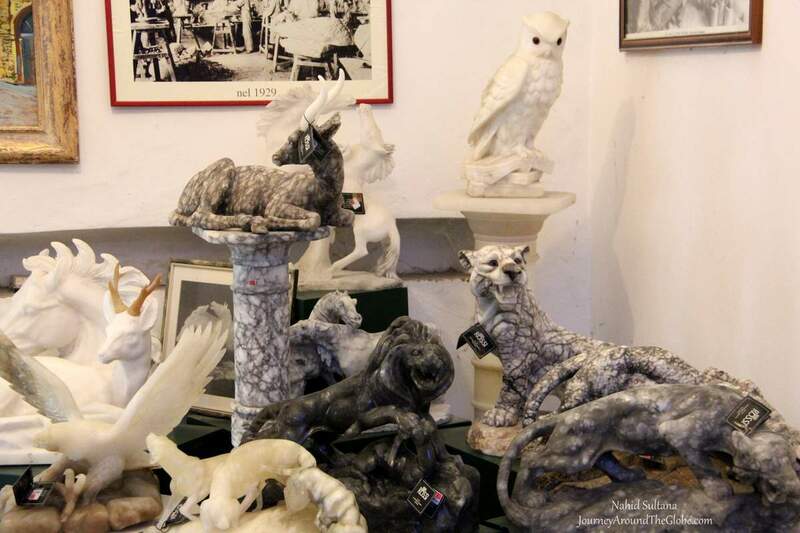 Don’t forget to check out the many small shops at the Piazza Matteotti like Antica Macelleria Falorni, an old butcher shop. And try some of the local delicacies. The shop has been there since 1809. 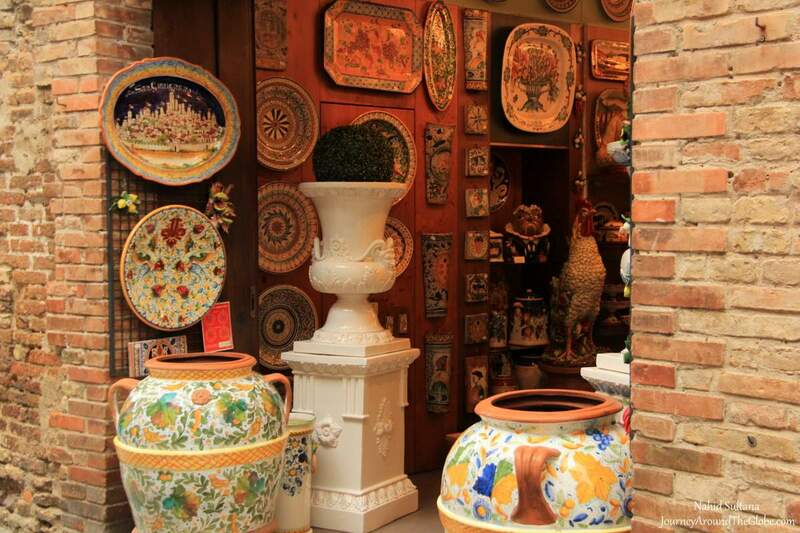 And don’t miss La Bottega dell’Artigianato, a shop known for it’s hand-woven baskets and olive wood carved products. Take a relaxing seat at one of the little bars and watch the town’s life go by. Next stop is Panzano. 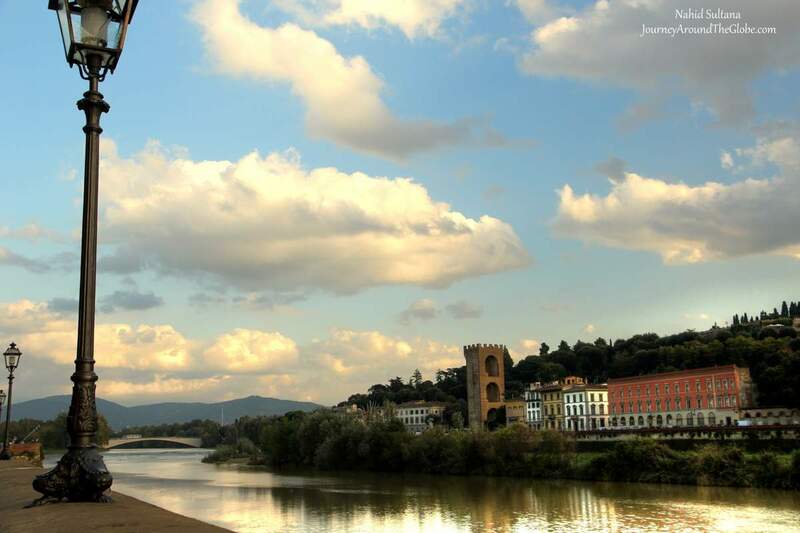 A little hilltop town situated exactly halfway between Florence and Siena. 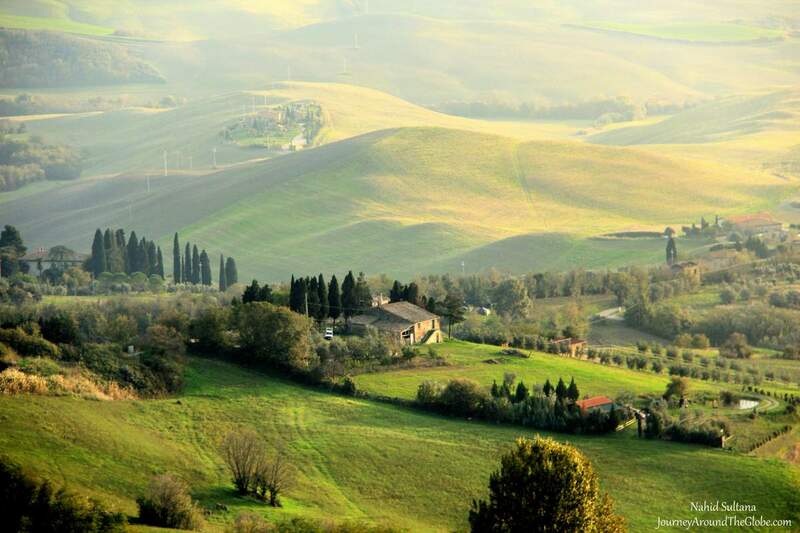 Due to it’s location is the perfect stop to take a look at the charming scenery of Tuscany. 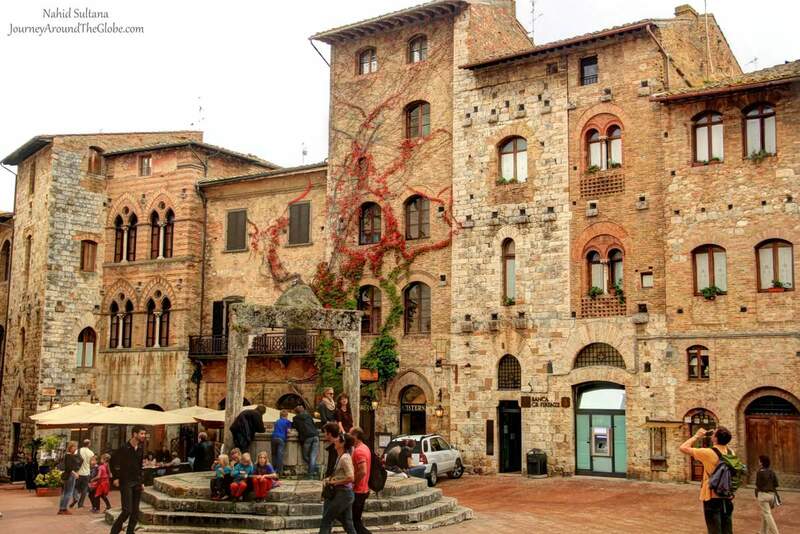 Take a walk through Panzano’s historic cobbled streets and visit the castle, built at the highest part of the town. 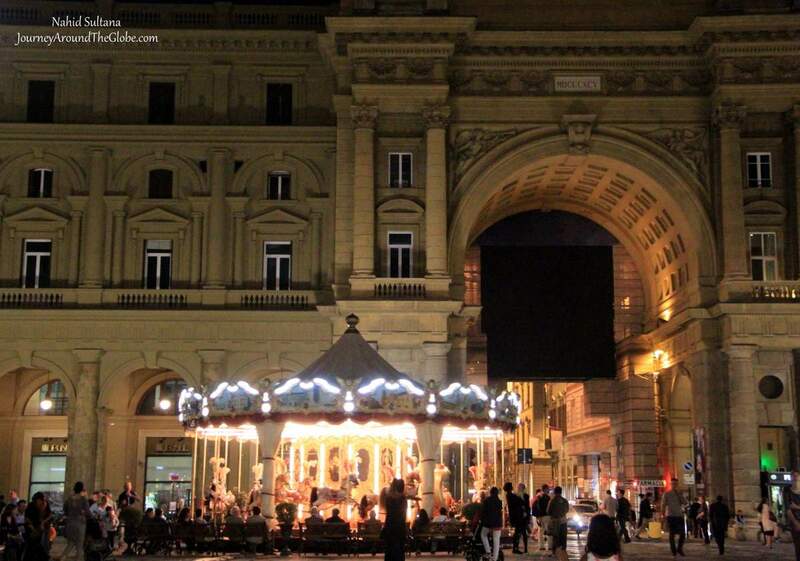 The modern market square, Piazza Gastone Bucciarelli, is now a meeting place for the locals. Panzano has quite a few bars and restaurants who offer wine tasting. You can also visit Fattoria Le Fonti and Fattoria Montagliari, just a few minutes drive outside Panzano. 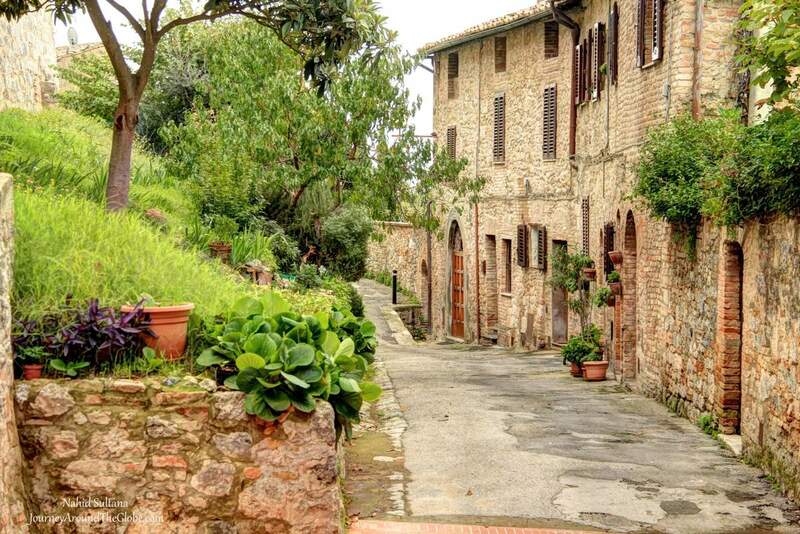 At Fattoria Montagliari you can also take a cooking lesson or spend a night at their farm. Panzano’s main attraction is the butcher’s shop, Antica Macelleria Cecchini, owned by butcher and chef Dario Cecchini. He’s a lively personality and very welcoming. Across the street is his restaurant, Solociccia, where you can try his famous specialities. He also runs Dario Doc. Make sure to make a reservation! 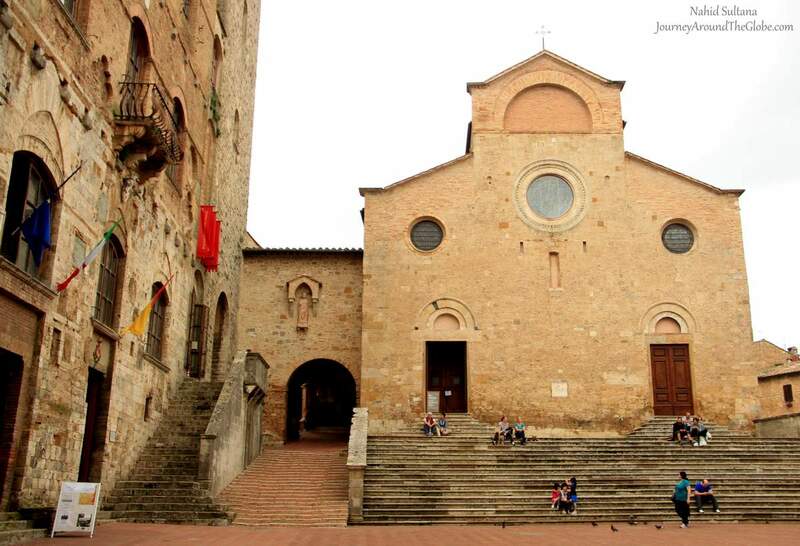 Panzano also has an annual Chianti Wine festival, Vino al Vino, held on the third weekend of September. Just like the Expo in Greve you can taste several local Panzano’s wine products. Castellina’s Rocca castle is the evidence of once being a strategic strategic headquarters between Florence and Siena. Despite multiple attacks and destructions of the city, the castle is still standing tall. Climb the tower of the castle and get a great view over the town and countryside. Inside the castle is the Archeological Museum of Chianti. Showing all kinds archeological findings from the region from the Bronze Age, Etruscan and Medieval times. Next to the castle, is the Via delle Volte, an arched passage round the eastern part of the city. Here you can find small artistic and food shops. 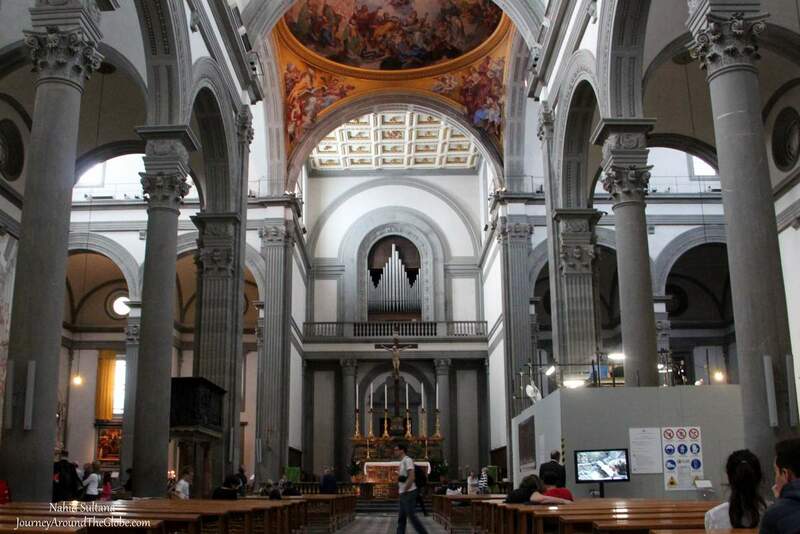 Worth visiting is the church of San Salvatore, rebuilt after WW II, and displaying a 14th-century fresco of Lorenzo Bicci. 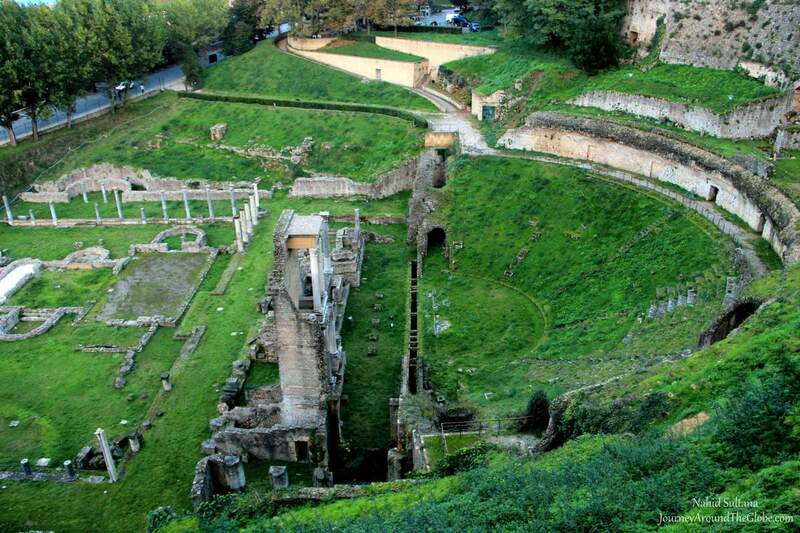 Not far from Castellina’s center is the Etruscan excavation of Montecalvario, dating from the 6th century BC. You can enter the tomb and see four burial chambers facing the east, west, south and north. Some remaining tombs artifacts are shown in the museum. In Castellina you can also do some wine tasting. Try visiting Gagliole and Villa Trasqua. Radda is quite a small village situated upon a hilltop, situated 600 meters above sea level. Surrounded by woods and located between the valleys of the rivers Abria and Pesa. The streets are narrow and mostly traffic free, so you can feel free to wander around by foot. Radda is charming, peaceful, quiet and ideal for a short stop. The ancient city walls, cobblestone alleys and the cities architecture take you right back to the Middle Ages. 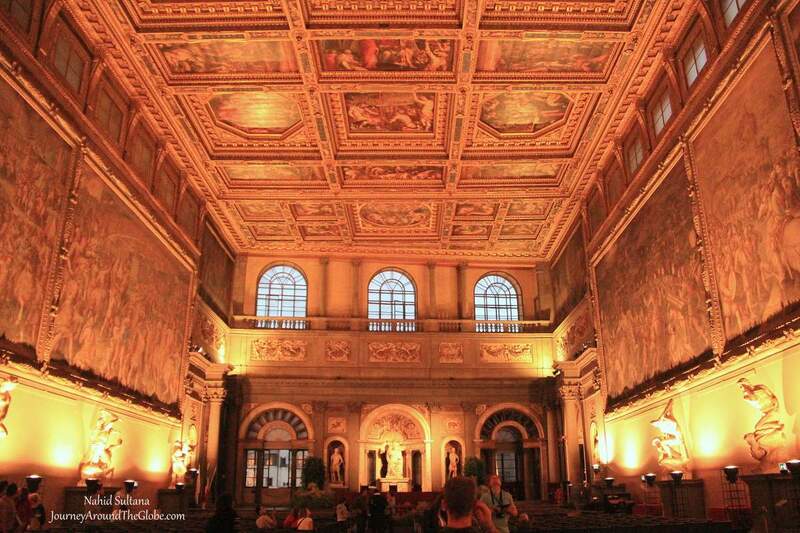 Like the Palazzo del Podestà (Palace of the Major), located in the middle of the town. 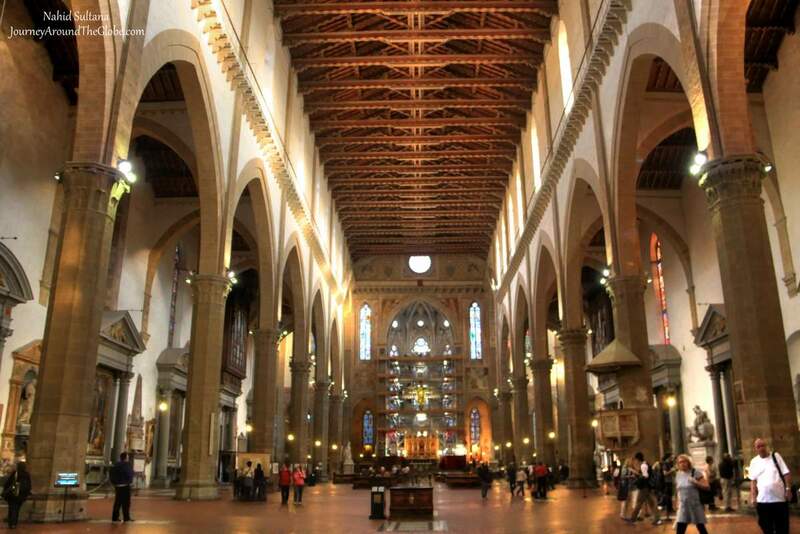 It was almost destroyed in 1478, but it still has the original facade displaying the Medieval architecture. 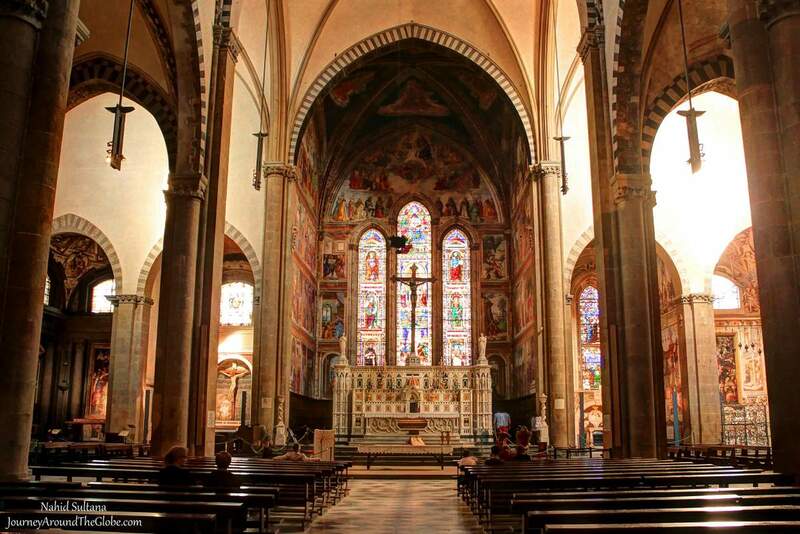 Or visit the Pieve di Santa Maria Novella, this Roman church is considered to be one of the best examples of Roman architecture in Tuscany. Also visit the Castle of Volpaia, a sandstone castle with a rare dark color. Complete your visit with a glass of wine in it’s winebar. Other great places for wine tasting are: Castello di Albola and Casalvento Winery. Gaiole is our last stop of the Chianti Classico towns before heading to Siena. Because of it’s position at the lower part of the valley, it has never been a strategic place like Radda or Castellina. So the Gaiola developed more into a marketplace for the nearby castles and churches. One of these nearby castles is Castello di Brolio. Take the winding and narrow driveway of the Castello and watch this pentagonal fortress appear. For 8 euros you can enter the castle and gardens (wine tasting included) and enjoy the views of the Arbia valley. In the distance you can see Siena (20 km/12 miles away). Or visit the Castello di Meleto. Nowadays it’s an hotel and also available for parties. You can get a guided tour at the ground floor of the castle which also has a theatre. At the end you can taste three wines. When you’re a hotel guest the wine tasting and tour are included. 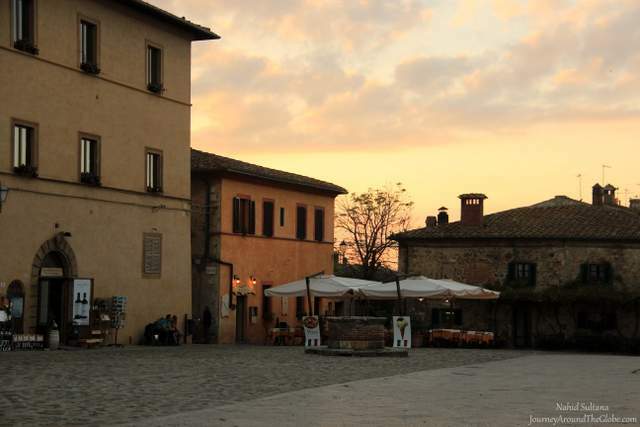 It’s the perfect place to spend the night and end your Chianti tour in a unique way! 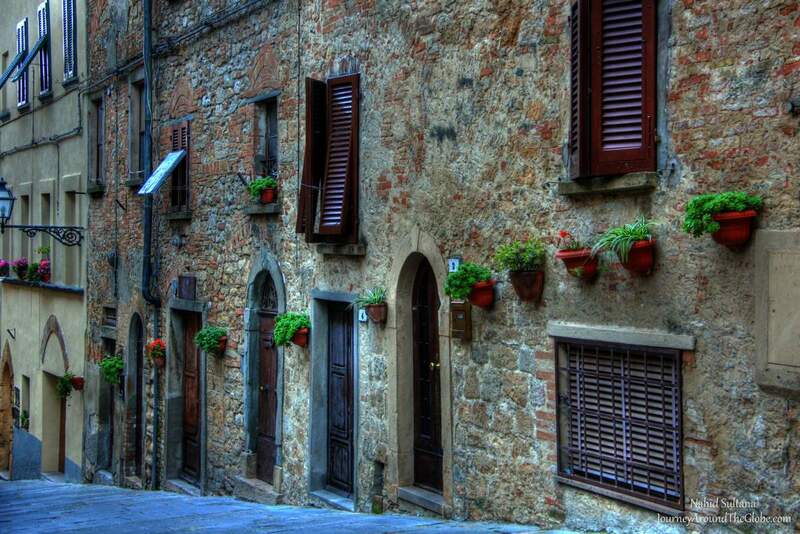 MONTERIGGIONI, ITALY: This is a very small commune in Tuscany bordering with Chianti. It’s magnificent countryside and vineyards gave us an alluring look to beauty of this region. 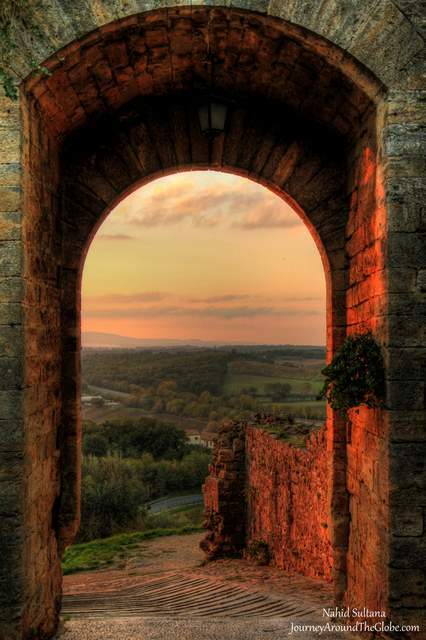 As the history goes, the town of Monteriggioni grew up on the sites of earlier settlements of Lombard origin. In 1213 the Sienese government built a ring of walls to protect the town and the garrison-post controlling the valleys in the direction of Florence, Siena’s historic rival. 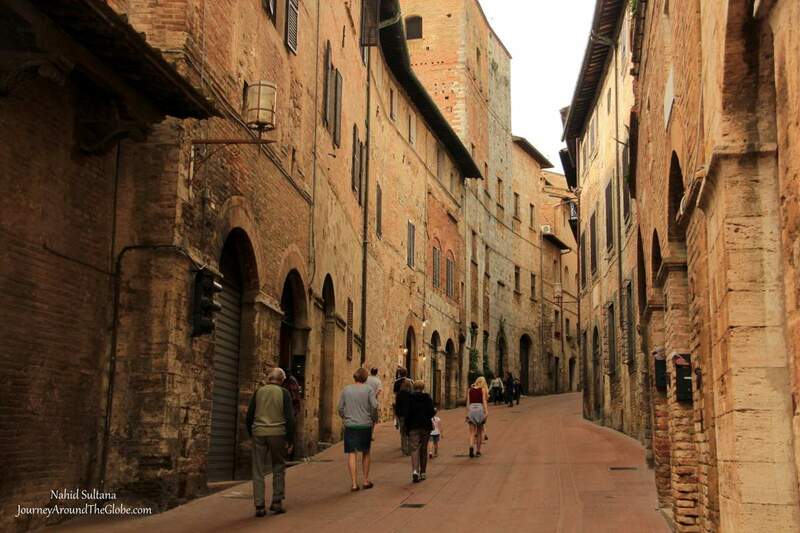 TIME of TRAVEL: We were in Tuscany in October 2013. The best part of visiting Tuscany during this time was that we had this beautiful place almost to ourselves. The crowd slowly starts to vanish once the summer is gone and autumn shows up. While is very pleasant during the daytime, it can get a bit chilly on the mountains or in the countryside in the late afternoons, always better to carry a light sweater for those moments. We were on our way to hotel after visiting Siena at the end of our first day in Tuscany and had just little time to spend before the daylight was gone. We drove to Monteriggioni just in time to enjoy a beautiful sunset in the hillside of Tuscany. EATING and SHOPPING: There were couple restaurants inside the castle complex where people gathered for drinks and meals. But didn’t see any shops or souvenir stores there…I was rushing to capture the sunset, maybe that’s why? CASTLE of MONTERIGGIONI: This was the only site I saw in Monteriggioni as it was already around sunset time. We didn’t do much research on this town either as far as what to see and do, since we just decided to show up here at the last minute. 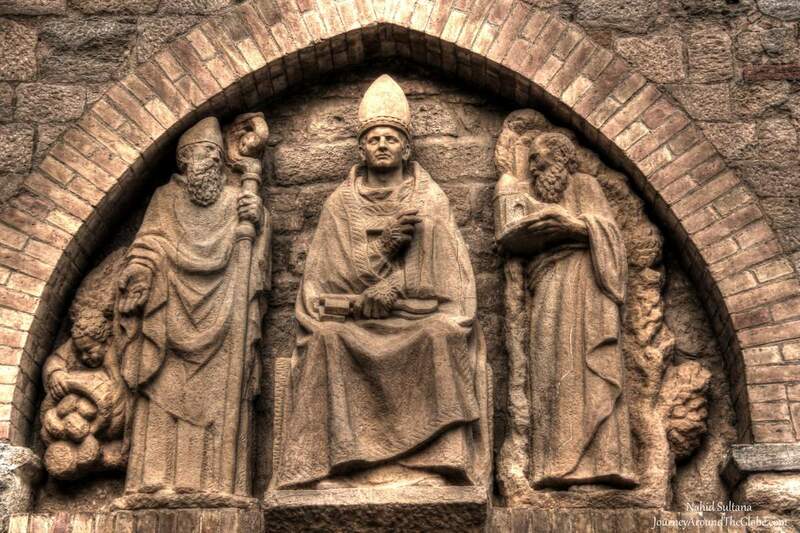 Historically, the construction of the castle started in 1213 with the expense and labor paid for by the people of Siena. From the very starting the castle was enclosed completely by walls. The castle was traversed by countless armed clashes with its rival Florence, which on various occasions tried to destroy the walled hamlet. Monteriggioni, an unconquered and “unconquerable” fortress, fell only during the siege of 1553 under the imperial troops allied with the Florentines, who attacked and bombarded the castled until it surrendered. The rustic and simple character of the 560 meters of walls, 14 towers, and 2 gates convey an idea of the medieval world which are fascinating even today. I am not sure if tourists are allowed to go inside any of the castle buildings or if there were anything else that we could have seen or done here, nevertheless it was a short but nice stop to take in more of Tuscan magic.